OMG this is just THE funniest movie!!! For your chance to win a copy Step Brothers head over to the wonderful blog Semantically Driven. Jen is running a competition to give a copy away to one lucky blog reader. Sincere apologies for the late notice, but I’m heading off now to send a notification to all the Prizetastic newsletter subscribers hoping you all get a chance to enter in time. Entries close Tomorrow Feb 28th at Midnight.. WOW!!! Is all I can say about this australian competition being held over on the blog Polkadot Bride!! One VERY lucky Australian Couple have the chance to win their dream wedding cake valued at…….. get this!!! Valued at $1500!!!! Then head on over the Polkadot bride to get your entry in. It’s lots of fun, you actually have to design your dream wedding cake. Ms Polkadot has supplied templates and instructions and you can find out here How to win a wedding cake! Competition Closes February 13th - Good Luck Everyone. Head over to her wonderful blog for your chance to win a beautiful personalised childrens t-shirt from Karousel Kids. This giveaway is open to everyone, worldwide! Giveaway closes Friday, 6pm (AEST) and winner will be contacted by email and announced on MX 5. Head on over to my shiny new shoes. They have a great competition thanks to Bump, Baby and Beyond for a $100 Gift Voucher. One of my favourite Aussie Blogs is Not Quite Nigella. Not only is it full of yummy food pics and advice, but there are regular competitions too!!! You need to head over to the competition post and reply there or email the address supplie with what design you would like as a cupcake wrapper. Good Luck everyone, take a look around while you’re there, it’s absolutely yummy!! Head over to La Toriana’s Blog and find all the details for how you can win this absolutely gorgeous. While you are there, check out the rest of the clothing in La Toriana’s online store, it’s absolutely beautiful! The “Little Accident Care Package (Cool Bunny)” is Nanny Pickle’s answer to those little distasters that Bad Bunnies can have whilst whilst out and about. Packaged in an elegant muslin bag and designed to keep in your Bad Bunny’s travelling kit, this will be the answer to every Au Pairs outing nightmare. Complete with a Bad Bunny Summer onsie as well as a towelette (it comes in its own ziplock bag) and bib you will be prepared for anything. The amazing food blog “Not Quite Nigella” is running another great competition for Aussie Bloggers. 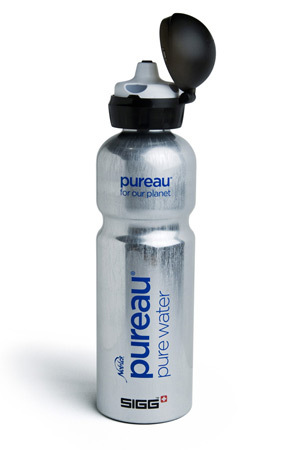 To enter to win a water bottle of your own, head over to Not Quite Nigella and “ write in 35 words or less, how else have you, or do you intend to, reduce your carbon footprint? Add your entry via a comment to her competition post. Yet another wonderful blog contests is happening over at “Where the Blog Are You”, not to mention all the amazing Australian blogs being featured. To enter head on over here to Where The Blog Are You and read all the instructions. 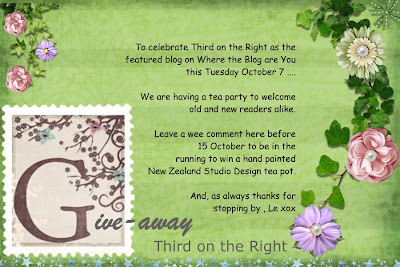 This Aussie Blog Competition is to celebrate Thirdontheright being the Featured blog on Where the Blog are You. Australian Competition gone wrong - 2Day FM Investigated! Win a Honda CRV - A LAZY but GREAT Competition!! Fiona (0 comments.) on Australian Competition gone wrong - 2Day FM Investigated! Fiona (0 comments.) on Competition wins as gifts? Lightening (0 comments.) on Competition wins as gifts? beryle robinson (0 comments.) on QUICK!!! Competition Closing Soon!! !